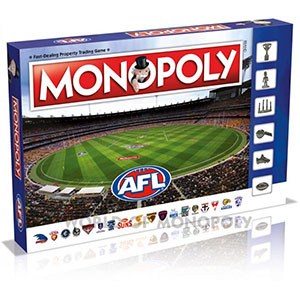 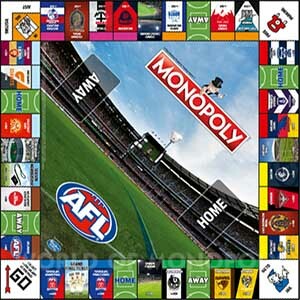 The AFL MONOPOLY edition features all 18 clubs, iconic stadia, landmarks and medals! 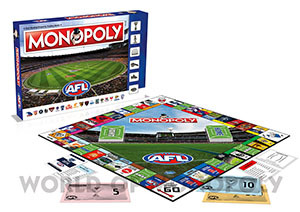 Invest in stands and stadia and watch the rent come pouring in. The Chance and Community Chest cards have been given an AFL-inspired theme becoming Home and Away cards. Select one to discover you have been suspended for three matches or go back three spaces after you give away a 50-metre penalty. 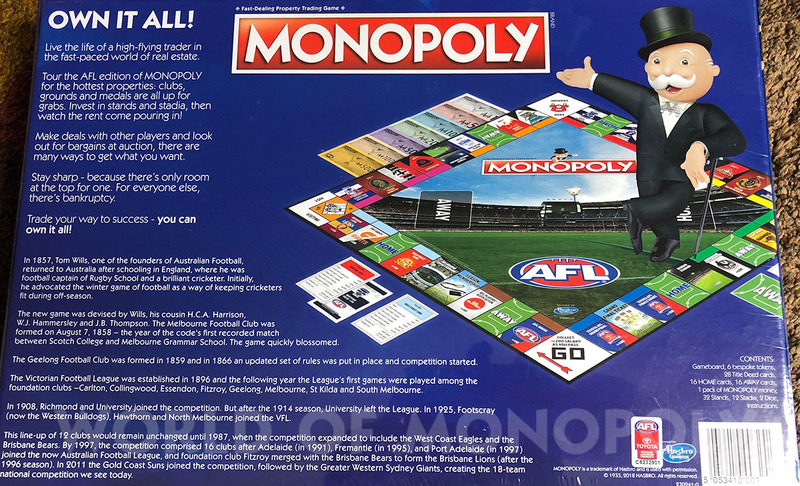 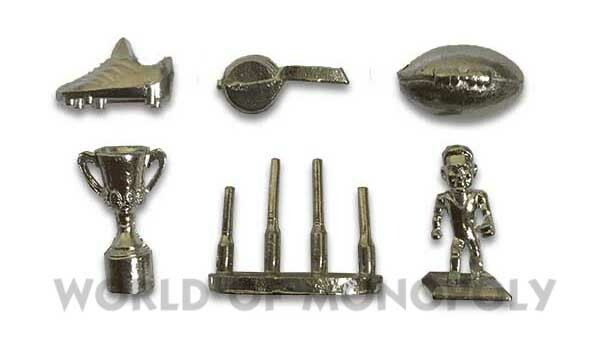 This edition of MONOPOLY contains six unique AFL-themed tokens, including the Premiership Cup Trophy, an AFL goalpost and a footy player!